Q. Do you have translation certification? A. Yes, we do. We can use the translation “chop” if needed, stamping the translations with a seal of official translation status in China. 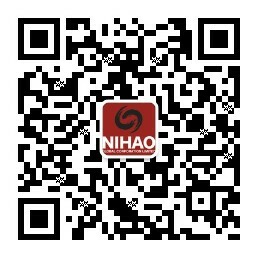 Nihao is a member of the Translation Association of China and also NAATI approved in Australia. Q. Can you handle lengthy translations of a technical nature? A. Yes, we can handle long and complex documents of a technical nature. We have done many of them already. Our team of translators is very experienced and has specific industry knowledge and technical skills. Q. Hasn’t online translation software made manual translation unnecessary? A. Even the best translation software produces unexpected and often confusing results. Particularly for languages of differing linguistic families, such as English and Chinese, the output of machine translation falls short. For obscure terms, Nihao interpreters and translators will rely on context to infer the meaning and translate appropriately. Software cannot do this! Q．If the document is too big, how we can send it to you? A. You can register with the Nihao Translation System (NTS) on this website. It connects the client, the company and the translator and works 24 hours a day, 7 days a week. You can use the NTS system to upload and download documents, and notifications will be sent to your email inbox throughout the process. Q. How much notice is required for an interpreting job? A. In order to best prepare for your interpreting job, we prefer to have two weeks’ notice. We can usually manage to arrange jobs in a shorter time than this, but if less than 48 hours’ notice is given we may charge a short notice fee. Q. What are your policies on confidentiality? A. Nihao Global employees and contractors are required to maintain strict confidentiality in regards to all client business. We are also willing to sign a confidentiality agreement with clients. Q. Can your interpreters and translators travel with me if needed? A. We can generally arrange for interpreters to travel with clients on business trips; the interpreter’s expenses such as accommodation, travel and food will be charged at cost. Q. How much do you charge for your research services? A. Our price starts from US$50 per hour. We can charge by time spent or as a whole project. Q. How long it will take to finish a research project? A. It depends on the nature and the scale of the project. We will give you a time frame according to the project brief. We have a network of human resources across 20 cities, and individual contractors can perform local surveys simultaneously. Q. How long does it take to find a long-term contractor to work for me in China? A. Depending on the nature of the position, it normally takes 2-6 weeks. Q. Do you carry Professional Indemnity Insurance? A. Nihao Global is one of the few translation companies in the world that carries Professional Indemnity Insurance through a large international insurance company. Q. What type of organisations have you worked for and how big have the events been? A. We have worked for government and semi-government organisations along with large international listed companies and smaller SMEs. We welcome all clients regardless of size. Our current record is 150 interpreters at one event in the one room at the one time, we hope to break that record! A. Yes, we accept credit card you can make online payment through PayPal by emailing accounts@nihaoglobal.com or click pay now on the top-right of this website. Q. Do you organise events? A. We can help to coordinate and facilitate events, performing tasks such as assisting with communication, inviting attendees and providing equipment. There may be limitations to what we can perform as we are not event organisers. Q. Can you arrange my China itinerary? A. Yes, we can. We can book all your tickets in China including trains, flights, private cars, restaurants and sightseeing, saving you a lot of hassle. All the itinerary details will be written down with clear instructions and sent to you. We can also send an interpreter to travel with you if it is required.